Comments: I am fast becoming a Michael Lewis fan. I loved the 2 movies his books inspired ‘The Moneyball’ and his fantastic article on Vanity Fair detailing the Irish bubble. 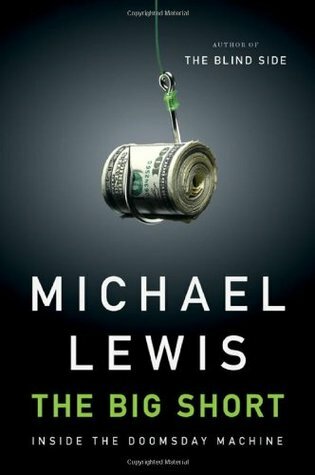 ‘The Big Short’ was recommended to me by a colleague as a great book on the financial crisis. This book takes a look at the unique characters who actually saw the collapse of the financial system coming and details the trials, tribulations and change they went through before and after the crisis. Great book. A Dan Brown-esque page turner for those with an interest in understanding how we got to the biggest financial crisis since the great depression. 1. ‘There is a fine line that divides investing and gambling.’ Not a new learning but the whole book’s essential synthesis was re-learning this concept. 2. The concept of rating agencies like S&P, Moody’s, Fitch and the like are broken. They are easily fooled by the smarter investment bankers far too often. 3. It’s amazing how badly broken the financial system was/is. When we pause for a moment, the financial system doesn’t really create anything. Yet, it accounted for 40% of the US economy in 2007. Banks essentially went from organizations that helped provide capital to businesses to profit generation machines. Sprinkle generous amounts of greed and take away any sense of principles/values from the dish and you can see the recipee for disaster. 4. It’s amazing how each of the ‘outliers’ who actually saw the crisis coming was, by all accounts, a weirdo in his own right. Even the smartest people out there drank their own kool aid and got deluded in the mass hysteria. Great review, thanks. I recently read ‘Boomerang: Travels in the New Third World’, by the same author, and loved it. It’s about the different crisis we are suffering in Europe –although it doesn’t cover Spain or Italy– and also has a chapter about the US. Maybe I enjoyed it more because I feel many of the problems really near –I find the Spanish crisis very similar to the Irish one, with a few touches of the Greek one–, but anyway I think it’s a great read. I already had ‘Too Big to Fail’ in my reading list, but now you make me doubt what to tackle next. I’ve had great things about Boomerang. It’s on my list (after a few others at the moment though! ).